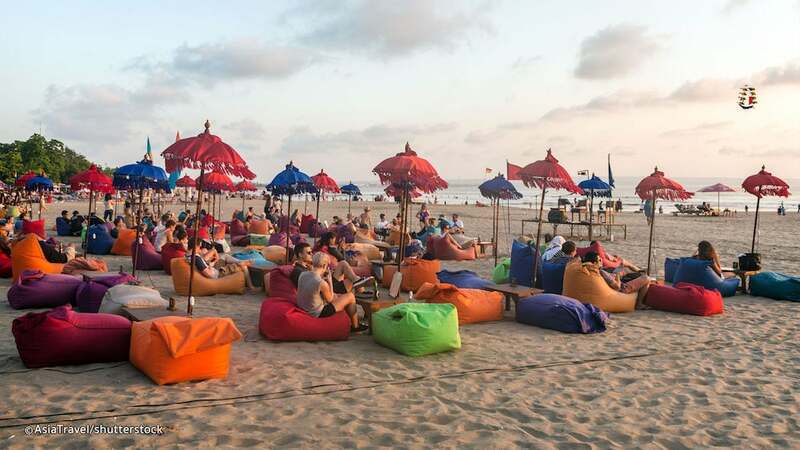 If you want to party hard in Bali, Kuta Beach is THE place to go! 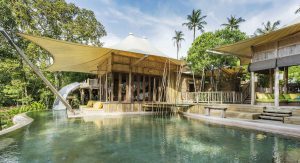 This backpacker haven is a must for those who want to start their time in Bali sipping cocktails at beach bars, meeting new friends in hostels and dancing the night away to some of the best modern music. Kuta Beach was once a small fishing village in the south of the island but once people found out about the wide stretches of sandy beach and the epic surf, they couldn’t resist coming here for vacation time and time again. As such, Kuta beach exploded as a popular tourist hotspot and is now home to large hotels, hundreds of restaurants and huge bars and clubs that bring in travelers from all over the world, especially the Aussies! 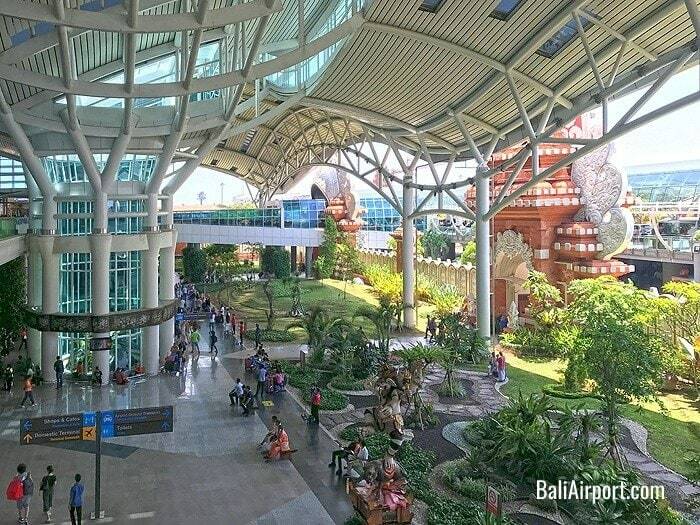 Denpasar International Airport (DPS), the main international airport in Bali, is only about 15 minutes away from Kuta which makes it a great starting point for your trip. You can easily take a standard pre-paid taxi from the airport which only costs around 50,000 IDR. Or, if you’re on a really tight budget and want to experience some local transport you can catch a bus for 4,000 IDR just outside the airport. 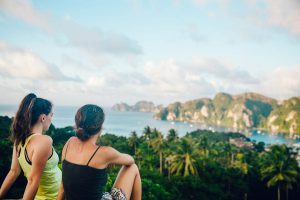 If you definitely want to do some partying while in Bali, it’s best to start your trip in Kuta as once you start exploring the rest of the island(s) you might not want to leave the beautiful surrounds of Ubud or The Gilis to come back! The main things to do in Kuta Beach are surf, eat, shop, party, sleep, repeat. Surf lessons here are cheap and the instructors are decent so if you want to learn how to get on a board this is one of the world’s top spots. If you learn the ropes while in Kuta you can feel confident simply hiring a board elsewhere in Bali and giving it a go on your own! 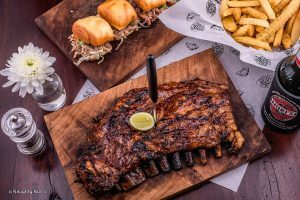 While the food is not world-renowned in Kuta, there are plenty of options so you can find everything from local fare to Indian, Mexican and Italian to suit your taste. You can buy pretty much everything in Kuta Beach so if you want to stock up on travelling pants, cool bikinis and new sunnies for your trip you can definitely shop ’til you drop in Kuta. 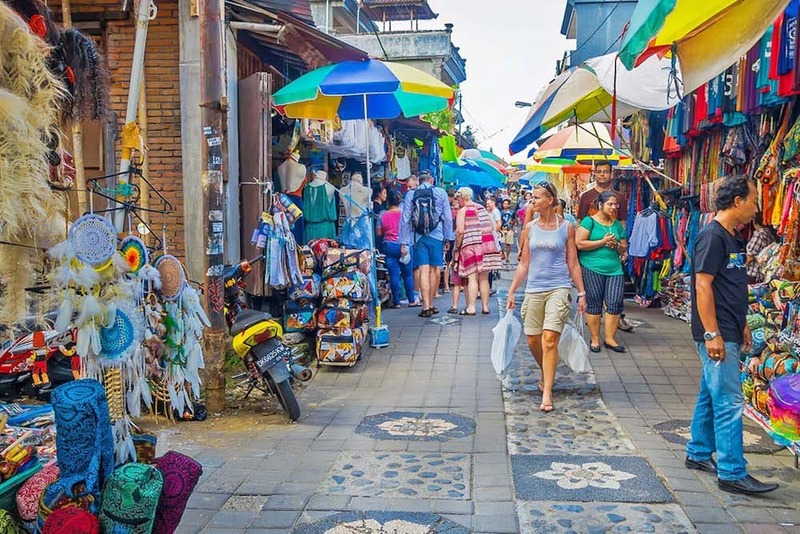 Kuta Beach has both swanky malls and knock off markets so choose your style. Be prepared to be hassled and to barter at markets as these guys are real professionals when it comes to selling their wares! The nightlife in Kuta Beach is the liveliest on the island with rooftop bars, Irish pubs and mega clubs allowing you to party well into the night. Most of the clubs are filled with young Australians who come here to celebrate on the cheap. The only things to note are that you should stay in groups, keep an eye on your personal possessions and avoid drugs – if you stick to that you’ll have an amazing time! Once you’re all partied out in Kuta, you can head to Seminyak nearby for a classier vibe, discover the Balinese temple of Tanah Lot, hit up Uluwatu or venture on to Ubud as your next stop. Both taxis and transfer minibus services are regular and cheap in Bali so you’ll have no trouble getting around. 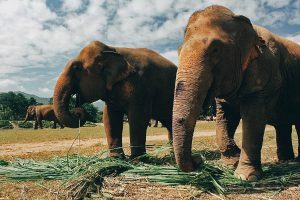 The perfect balance of any Bali experience includes some partying in Kuta, taking in the landscapes and culture in Ubud, visiting the picture-perfect rice paddies and some stunning beach time in the Gili Islands!